The great names of international yachting engage the celebrated and renowned talents of design whose unmistakable creative flair is capable of expressing the traditions of each individual yard. High specialisation in the sector has led to the separation of exterior and interior designers, the latter with skills that allow them to respect both the needs of each individual customer and the technical and architectonic aspects of every epoch and trend. The big name brands almost always choose one designer for the interior and another for the exterior, since there are few studios that offer a complete service. One of these few has already made a name for itself with projects much appreciated in both the superyacht and the smaller boat sector. The studio was founded in Venice in 1989 and is run by Carlo Nuvolari-Duodo and Dan Lenard, the former an engineer and the latter a designer, who over the last few years have created some of the most interesting projects. Nuvolari & Lenard, which recently opened a new design centre in Scorzè, Venice, is able to offer a complete range of services, from the concept of layouts to exterior design and interior décor, as well as marine architecture and engineering. Moreover, in the recent past the duo has also assumed the role of representing a number of demanding owners and working in a consultancy capacity on some interesting projects. In spite of their youth - when they set up the studio Carlo Nuvolari was 28 and Dan Lenard only 21 - they have gained the confidence of leading yards. One of their strong points is an ability for continual renewal, demonstrating versatility and operational flexibility. This can be seen by their presence on very different markets, having collaborated with some of the most celebrated names in world yachting, such as CRN, Codecasa and Perini Navi in Italy, Oceanco in Northern Europe and Palmer Johnson in the United States. For the Ferretti Group's CRN yard, Nuvolari & Lenard developed a 43 metre steel platform and another of 46 metres, from which "Magnifica", "Magnifica2" and "Saramour" came into being. For "Magnifica" they designed everything down to the smallest details, from the preliminary concept to the graphics of the logo. 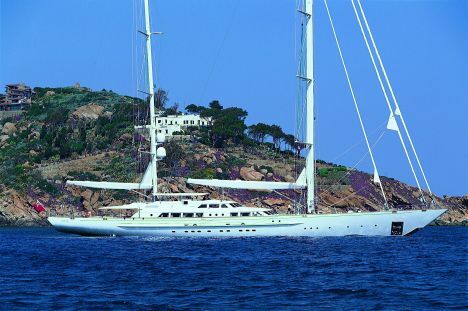 Other demonstrations of the duo's versatility are: Perini Navi's "Felicita West", an imposing 64 metre ketch with retro interiors; Codecasa's minimalist design "Mariù" and the Palmer Johnson 120', a fast cruiser with aggressive lines but classic English style interior decor. These are only a few names from the long list of yachts Nuvolari & Lenard have designed since 1989. A list which will soon include an 82 metre Oceanco, the biggest motoryacht the Studio has tackled to date. Building will probably begin in 2007. For further information: Nuvolari-Lenard Naval Design, Via Treviso 77, 30037 Scorzè (VE); tel. 041 5841888; fax 041 5840644; website www.nuvolari-lenard.com; email info@nuvolari-lenard.com.